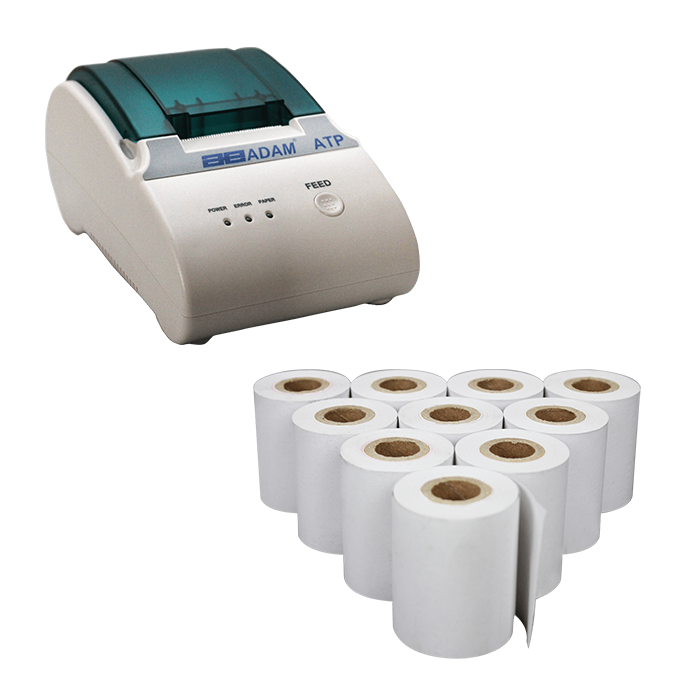 Simple to operate and set up, the ATP thermal printer is ideal for data output from Adam balances and scales. The ATP features speedy set-up and easy-to-read LED indicators. Multi-lingual text support provides up to 26 international language character sets. Selectable baud rates ensure greater compatibility with other devices. Printer paper is available in multi-packs with different quantities. Simple-to-use features combined with quick set-up makes for a truly versatile printer. A single positive push-button feed key and three easy-to-read LED indicators make operation simple. Easy to use, the AIP high-speed dot matrix printer connects with any device containing an RS-232 or USB interface. Communication is smooth and fast, as the AIP automatically detects a scale’s settings.